FULL METAL SERVICE » New FMS band BLACK PESTILENCE! New FMS band BLACK PESTILENCE! 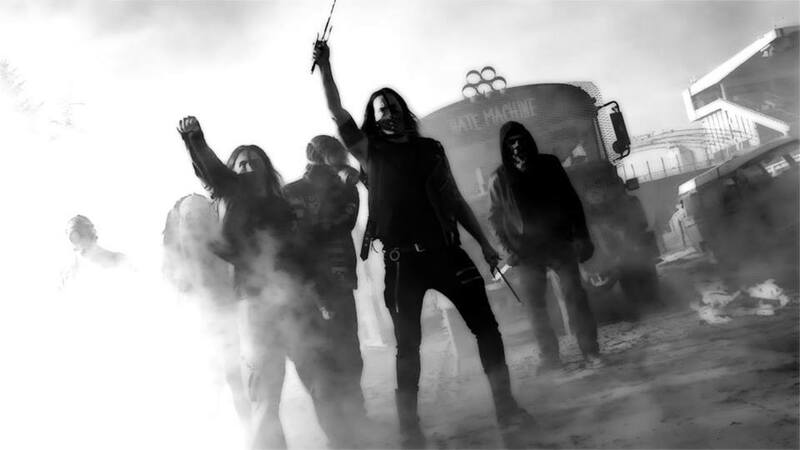 Canadian metal /punk band Black Pestilence from Calgary, Alberta is a brand new name in Full Metal Servie roster. Their fast and aggreive songs like ‘Cult Class’ or ‘Silent Assassin’ just made our decision faster. Raw enery, robotic voice, hymnic music and memorable lyrics; Black Pestilence are ready for bigger stages! Check this amazing band on their BandCamp and Facebook sites. Formed in 2008, Black Pestilence combines grimy punk rock with electronic noise, all through the devastation of black metal. In 2009, Black Pestilence’s first full-length album, “Vice” was independently released. “Vice” was originally released as a one-man solo project. However, later on Valax recruited live members in order to take the music to the live stage. Founding member, Valax simply describes the music as “black metal built on punk and noise.” The album scored favorable reviews on various metal websites such as The Metal Observer and Metal Storm. In 2011, “Tradition is Obsolete” was released. This album is a representation of Black Pestilence’s more experimental side with a strong emphasis placed on electronic noise and samples. Shortly after the release of this album, Black Pestilence performed at the annual Calgary Noctis Metal Festival. In 2013 Black Pestilence released their third full-length album, “In Defiance”. This album is by far the fastest and most fierce release yet from the band. It features the intense speed from street punk, all presented through the furious lens of black metal. Not to mention the otherworldly samples present throughout the album, it all adds up to one great chaotic mess. Komentari isključeni za New FMS band BLACK PESTILENCE!